The east and west secret societies are talking among themselves and have agreed that we really need to change the way we run this planet, and that some type of massive campaign is needed to rebuild, something that they can all agree on. The fight in the west is between the bloodlines and the meritocrats…it’s a pretty big thing globally speaking. And we should start seeing actually real world stuff, visible stuff happening, maybe within a few months. …Since the 1970s we are destroying the whole environment we are living in is something we can all agree that it is a problem that needs to be fixed and that the current system we have isn’t up to the job. The Asians have the gold and the westerners have the actual dollars you can use to buy stuff. And they have been fighting each other about which side has got more leverage in the raging financial wars since September 11, 2001. What happened in 2008 is that they decide to cut off the Americans; we are not going to give you anymore money. We saw what happened some time ago, when they had the huge backlog of cargo ships in ports – the Americans were told that their credit was cut off and you have top pay cash now. And the Americans responded, we are going to change, we are going to put this black guy in as president and that is going to show that things are different now. And the Chinese believed what the Americans told them. Obama was elected – and the US establishment is going to accept a non-white person ruling the country and they turned on the tap again – the financial flow. But, it turned out that Obama was just a continuation of the Bush-Clinton alliance with a nicer face; and they became disillusion over time. And the next thing that they did was to promise the Chinese that if Hillary Clinton was elected US president they would have the United States of China. Clinton and those people promised to hand over Japan, Korea, South-East Asia, everything to China in exchange for support for Hillary Clinton. The Chinese funneled lots of money to Clinton and those people, based on that promise and that set-off alarms with the military type by people who said, no, no, we are not going to hand everything over to China, and the Trump Administration was supported. The Mike Pence speech about China for the Hudson Institute, was not written by him, clearly it was written by the bureaucracy consensus type thing – saying look, China has not been fair, we have given them a lot of slack and we have got to change things. Fulford believes that the whole trade thing is going to be worked out, where the Chinese are going to build factories in the US and buy more American stuff and the Americans are going to do more good stuff for the planet, I think that is sort of a rough consensus. The Vatican people have a lot of power; and I found this out that most world leaders, has soon as they are elected to power they are given a bank account with Vatican banks and other perks and are welcomed into the rich people’s club and are to do what they are told, and so the Vatican controls a lot of the heads of state. But under Pope Francis, he said, we (the Vatican) are going to try and change what we do, lets help the poor, and they were looking for people in countries around the world especially in developing countries, where they plan to funnel large amounts of money through chosen individuals to develop those countries. They are in the process of selecting people and that seems to be their plan. And the American Military Industrial Complex has their NASRA plan where they are going to release funds through all sorts of non-traditional people. And the system as we have it now, the money is handed out to the large banks and the family I call the khazarian mafia people – the Rothschilds, the Rockefellers, the Clintons and such, who sort of control this up until now and the funds are handed to their fortune 500 flunkies and that’s how they have been distributing the money. And that has not been working out. What happened with this quantitative easing, all they have done is increase the gap between the rich and the poor, and not helping 90% of the people. And the system has just become dysfunctional. The thing where I do know, said Fulford, that I have a concrete marker for, is that, I have been given bonds that were given to the daughter of the last emperor. 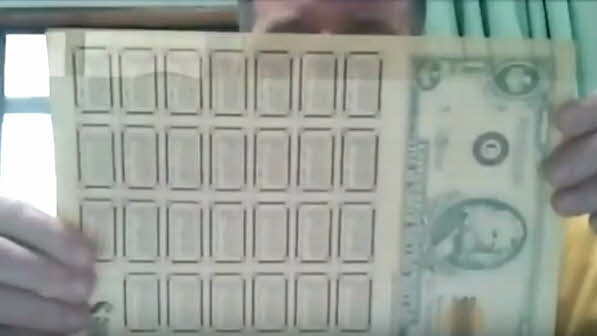 (And Fulford shows one of the bond sheets worth $1.16 billion US dollars and that he has 200 of them – on camera in the Prepare For Change video interview dated Nov. 15, 2018.) The US bonds are confirmed to be real by two sources. BATTLE FOR WORLD / RT AMERICA – November 29, 2018: The video highlights RT’s host Anya Parampil describing what has been dubbed by some to be a “new McCarthyism” brewing in the United States, as anti-China fervor is rising in the wake of President Trump’s all out trade war against the country. Anya reports Trump’s latest comments on trade war, as the President told the Wall Street Journal this week it is “highly unlikely” his administration will refrain from raising tariffs on Chinese goods in coming weeks. She also explains how a 1979 agreement between the two countries invalidates claims made by US officials that China is steeling US technology. And Dr. Gerald Horne, Professor of History at the University of Houston, joins Anya to tell us why he thinks both the Democratic and Republican Parties fear China’s rise. (BattleForWorld: And Anya Parampil commented that all the noise about China stealing US technology, is far from the truth, because the United States and China signed agreements long ago to share technologies. As noted in the “Benjamin Fulford: Highlights China…” by BattleForWorld comments, about when the US was moving ahead at full speed giving China technologies, because the Western Chinese puppets at the time agreed with the ruling elites in the West to become a globalist puppet country in the same vain as the United States, but the plan was annulled, setting China free. And so the globalists in the West are throwing every lies they can at China, just because China is no longer playing puppet ball. And President Trump is caught up in the unraveling of the plan to which he has to respond using trade wars and this will be to the detriment of the United States as the new power alignment is ongoing and completed. 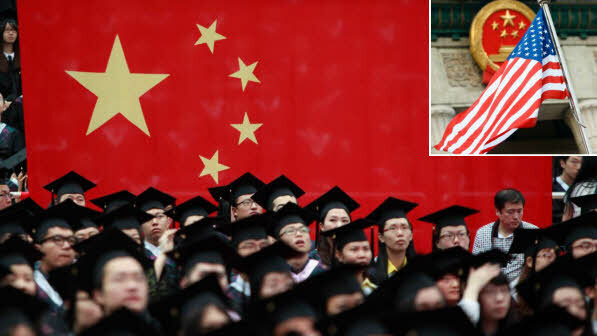 BATTLE FOR WORLD / INSIDE HIGHERED – November 29, 2018: The article highlights that the University of Illinois at Urbana-Champaign has paid $424,000 to insure itself against a significant drop in tuition revenue from Chinese students. BATTLE FOR WORLD / RT AMERICA – November 29, 2018: The video highlights comments by Economist Richard Wolff, co-founder of Democracy at Work, as he joins RT America’s Rick Sanchez to offer his predictions about the G20 and to critique Trump’s “blundering” trade policies. 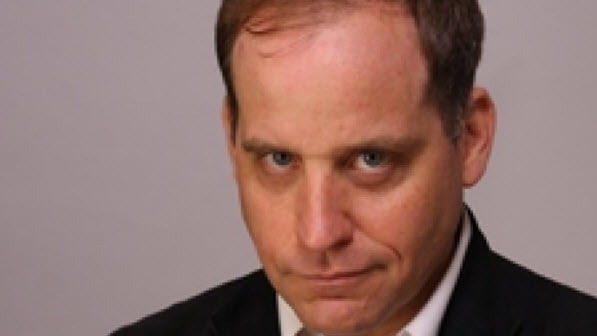 BENJAMIN FULFORD / BATTLE FOR WORLD – November 26, 2018: The preview article posted on Fulford’s blog highlights that the announcement on October 24, 2018 by Rothschild & Co that they are getting out of the trust business (i.e., managing other people’s money) is a major historical turning point that almost slipped by unnoticed. Link here. In particular, the arrest of Goldman Sachs bankers in the 1Malaysian Development scandal means that the Rothschilds’ involvement is about to be revealed, French investigators and other sources say. Link here. Nonetheless, former CIA Operations Officer Robert David Steele says the Rothschilds have been forced out of the central banking business altogether, even though they asked to be allowed to keep a token 5%. Link here.